Since 2007, David has been the Associate Choreographer/Additonal Choreographer for the stage production of Dirty Dancing, for which he has put together and choreographed fro many productions (including London's West End, 1st US Tour, Berlin and Toronto). In 2012, he choreographed a newly designed production of Dirty Dancing that premiered in Stockholm, Sweden. Recently, he has choreographed Carousel for Oklahoma University and In the Heights for Kean University NJ. 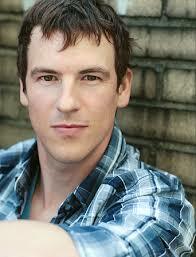 David will be the Associate Choreographer for the upcoming Dirty Dancing US Tuor opening August 2014. David's Australian performance career highlights include Dirty Dancing (Dance Captain Australia); Kylie Minogue's Intimate and Live Concert Tour (featured dancer, Australia/London tour); Singin' in the Rain; Fame; Sweet Charity; Sisterella; Me and My Girl; Pirates of Penzance; and Baz Lurhmann's Moulin Rouge. David's teaching style is passionate, informative and emotionally oriented. As a dance educator, his focus lies in building a foundation of flexibility, stability and strength.